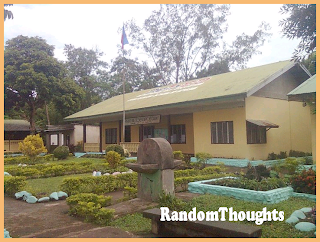 Random Thoughts of Gil Camporazo: How Does Cubay Elem. School Become Spick and Span? How Does Cubay Elem. School Become Spick and Span? Cubay Elementary School, one of the 23 public elementary schools in the Division of La Carlota was ready for the opening of classes on June 4, 2012. It is no magic that this school was transformed into a spick and span elementary school. 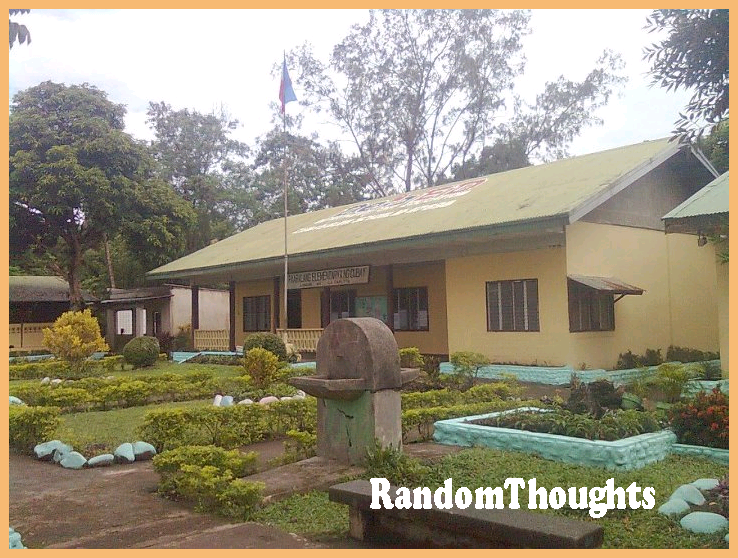 There were sectoral groups of concerned stakeholders that did a great job in making this school prepared for the opening of classes as they did a 6-day maintenance of the school in a national school maintenance week or known as Brigada Eskwela which started on May 21 to 26, 2012. This group is a representative of the youth, the students, the women, the parents, the professionals, the workers, and the laborers, and even the local government unit like the Barangay. In short the community is well represented. They managed to facelift the school for a matter of six days through the spirit of volunteerism. Day 1 - 41 volunteers started the maintenance of the school by cleaning the ceiling of the classrooms, cleaning the ground, repainting of the cabinets and dividers, cleaning of the foot walk, pruning the shrubs, weeding out the garden, emptying the garbage or disposing the garbage properly. These group were mostly composed of the school children's parents. Day 2 - 52 volunteers continued the unfinished maintenance activities of the previous day. Some were repainting the roof of the school building. Some were repainting the exterior of the the classrooms. Some were trimming the shrubs. Some were mowing the lawn. Brgy. 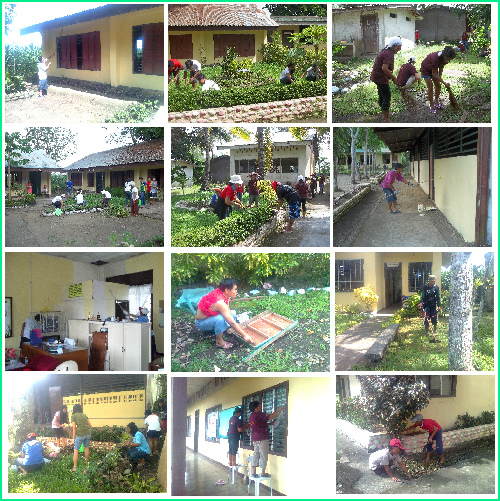 Captain Noel Vargas paid a visit to monitor the barangay volunteers assigned to the school in repainting the office of the school principal, and to mow the tall grasses of the lawn. Day 3 - 88 volunteers joined together to prepare the school ready for the opening of the classes. The group was mostly composed of the Women's Association. Other group was of the instructional managers of Alternative Learning System (ALS). Other was the youth group of the Sangguniang ng mga Kabataan. The repainting of the walls, the roof was continued. The unfinished mowing of the lawn was completed. Some were still cleaning the ground and pruning the shrubs. 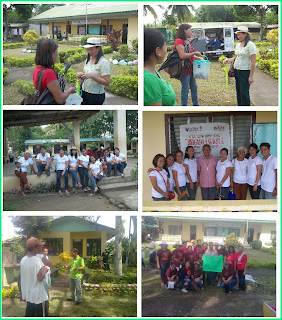 Day 4 - 56 stakeholders spent their time to continue the cleaning of the ground, of the classrooms. Some carpenters repaired the chairs and tables of the teachers. The painter continued and finished the repainting of the roof and exterior walls of the school building and the classrooms. 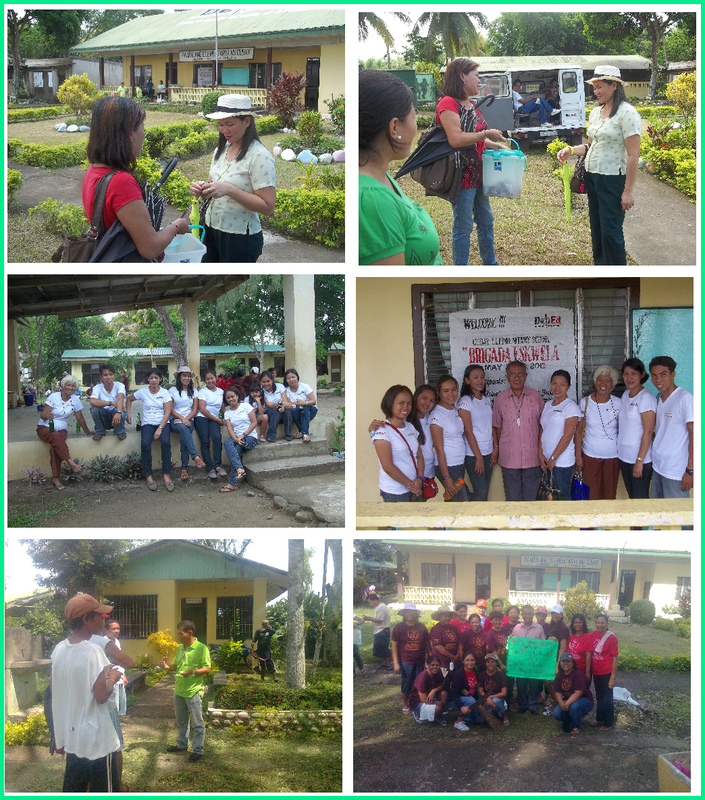 OIC-ASDS Portia Mallorca along with the education program specialists of the division of La Carlota visited the school and conducted an ocular inspection of the outcome or the work done by a group of volunteers of Brigada Eskwela. Day 5 - 51 did their turn too. Most of the group were the youth or the Sangguniang ng mga Kabataan. They cleaned the mowed lawn. They trimmed the shrubs. They gathered and disposed the cut grasses and trimmed leaves to the compost pit. There were some parents still did their job in cleaning the ground of the Pre-school. Repainting of the stage and some exterior walls were completed. Day 6 - The last day for the school maintenance. Only few came back to complete their 6-day task. Teachers wrote some lesson plans. Some were replanting their respective plant boxes. Some were repainting their broom boxes and garbage receptacles. In a Bayanihan spirit, three hundred three stakeholders showed their full support in this 6-day Brigada Eskwela or national school maintenance of Cubay Elem. School by spending their time in making the school ready for the opening of classes. Everyone in the barangay or community did their share by giving their best service or whatever he/she may donate or offer. The pupils will not do the menial task of cleaning their own classrooms, disposing the garbage, sweeping the ground, among others. Instead, they will be attending their regular classes, doing their first assignment, writing and answering their first quizzes. This blogger who is the school principal of Cubay Elem. School is expressing his heartfelt appreciation and gratefulness to all those who have done their best and given their sincere, all-out support in the form of their invaluable service, financial assistance, moral and prayer of faith. Muchos gracias! Thank you very much. that's the filipino spirit! proud to be pinoy! WE do appreciate it Kiko. I will just let you know about it and we will call it "Project KIKO" if you don't mind.